Ever have one of those weeks where nothing seems to be going right? You get a parking ticket. Your coffee maker broke and you get a flat tire on your way to work. It seems like everything seems to be raining on your parade. Frustrating, right? Luckily, there’s a way to minimize some of the frustration when everything seems to be going sideways. You’ve probably heard at some point that you should “save for a rainy day.” But what does that mean and why is it important? Read on to learn more. What is a rainy day fund? What is a rainy day fund exactly? A rainy day fund is a pot of money that can help you cover any short-term problems that may arise. Similar to an emergency fund, which can help cover big issues like a job loss and illness, a rainy day fund helps you pay for smaller expenses and one-time inconveniences. Your budget probably encompasses your recurring expenses. But let’s be real: things come up all the time that are unexpected. It’s tough to budget for items like a parking ticket or a new coffee-maker. Instead of fretting about this, think of your rainy day fund as your umbrella. It can help protect you and make the rain a little less annoying. Would you rather go out and be hit by a storm, left drenched and cold? Or would you rather have an umbrella to keep you warm and dry until the rain passes? A rainy day fund is sort of like your emergency fund’s younger cousin. This type of savings fund is similar to an emergency fund in that it can bail you out when you need it — but the issues are less severe. This means you don’t have to save as much in your rainy day fund as you do in an emergency fund. For example, a rainy day fund might cap out somewhere between $200 and $1,000. You probably don’t need to save any more than this because you likely won’t need more than $1,000 to help you deal with a short-term unexpected expense or two. If you’re wondering how to start a rainy day fund, start with a blast from the past: the good ole piggy bank. You can put your spare change into a piggy bank or jar. All of that spare change can add up and be set aside for your rainy day fund. To raise even more funds, you may want to consider selling some of your belongings. Have any old electronics you can sell? What about those books you’ve already read? You can list and sell your items on Craigslist, a Facebook yard sale group or even an app like OfferUp, or eBay. Take any of the cash you get from these sales and sock it away into your rainy day fund. While you’re coming up with cash for your rainy day fund, we also recommend opening a savings account and automating to help beef it up faster. For example, if you are a Chime member, you can save 10 percent of your paycheck automatically – a surefire way to build a rainy day fund in record time. You can also continue to save more money through Chime’s Automatic Savings program. 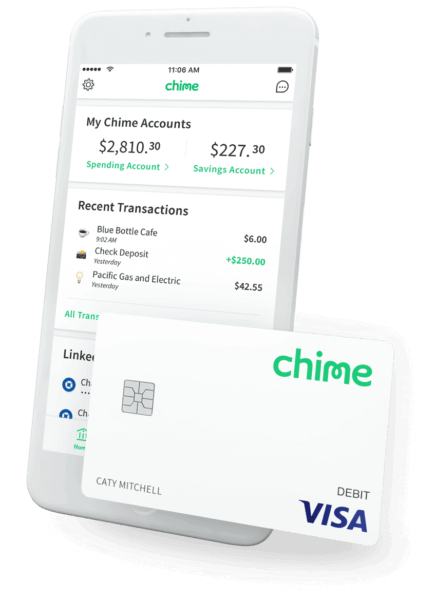 For example, every time you pay a bill or make a purchase using your Chime debit card, Chime rounds up the transaction to the nearest dollar and deposits the roundup amount into your Chime Savings account. Some days are better than others. When those bad days hit and nothing seems to be going right, it’s nice to have a stash of cash that can act as your umbrella during a rainy day. With that, I’ll leave you with this final tip: when you’re thinking of how to start a rainy day fund, don’t complicate the process. Start small. You don’t have to save a ton of money as long as you make sure you save enough to ride out a rainstorm.